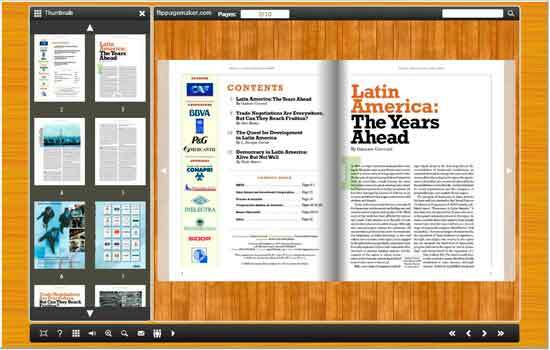 Create Digital Flash Flipbooks with embed video, audio, flash and links. Customize your own style theme ( look&feel ). Retain PDF Hyperlink, Bookmark and Text. Command line to automate the creation of Flipbook. Publish online for mobile devices (iPhone, iPad, and Android devices). 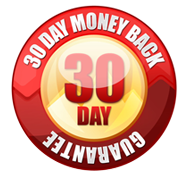 One-time fee, unlimited conversion, without paying royalties. Almost most of people like the classical wooden desk. Its texture and touch is fantastic. 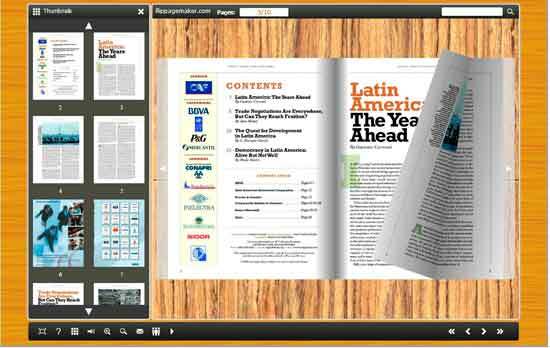 People who convert PDF to flash flipping catalog with our FlipBook Creator (Pro) know that the brochure spread out on the panel, and we can custom the panel style. In view of many people have eye only for wooden texture, we provides the free theme Wooden Desk series 1 for your online catalog or product list. In future, we will publish much more similar themes. This kind of wooden adornment display different wood stripe and color. Five templates have their own type. Anyway it looks more real-life like a wooden desk. You spread the book out on the table and then read with the air of epicure. The wooden feeling is touched with the very thick pastoral breathing. Let soul back to nature. In order to get rid of cutting about trees, our mankind invents electronic publishing. Nowadays, electronic wooden theme for online flipping catalog has been born. It impresses us too.